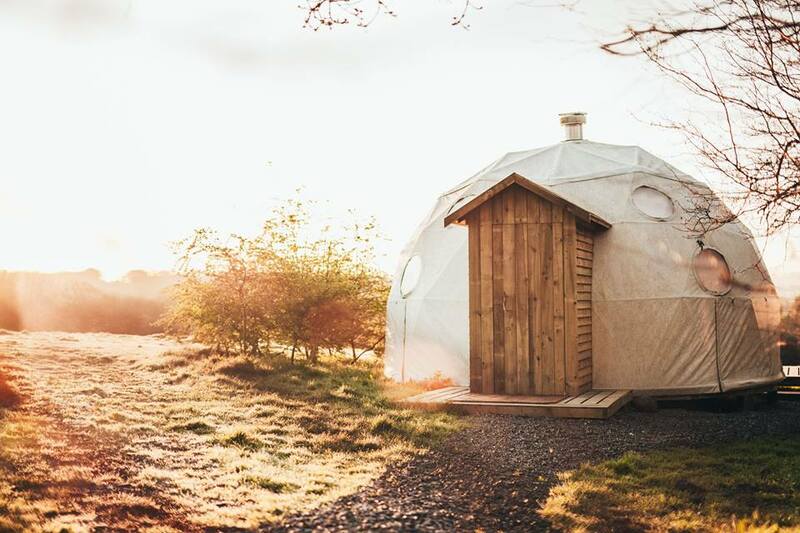 The dome, made famous at fforest, with its solid wood floor, bespoke furnishings and the view from that giant bay window. Each dome has it’s own unique character formed by its location and it’s individual finishing touches. But they all have the same level of comfort. It's the perfect romantic getaway with its king size bed with feathersoft duvet and pillows, but transforms into every family's camping dream when you pull out the futon camp beds. Each dome has it’s own unique character formed by its location and it’s individual finishing touches, but they all have the same level of comfort. It's the perfect romantic getaway with its king size bed and feather soft duvet & pillows, but transforms into every family's camping dream when you pull out the futon camp beds. 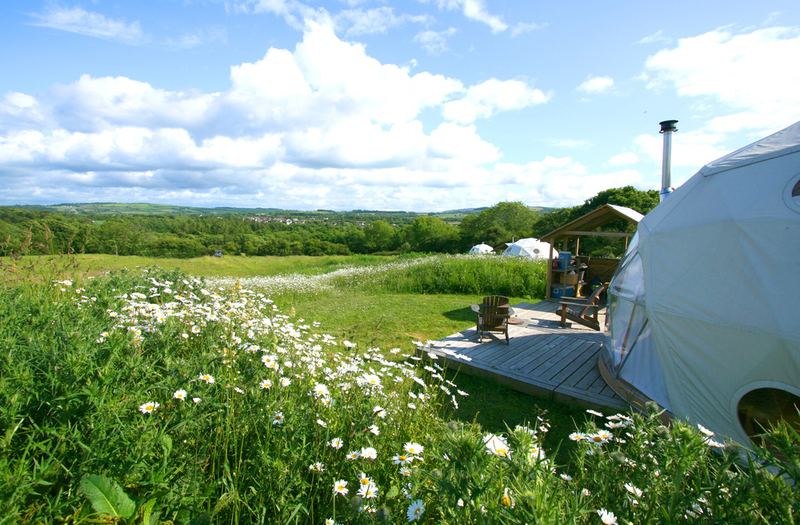 As with all of our accommodation, the outside deck features plenty of space for relaxation, and a fully equipped all-weather camp kitchen and dining area. 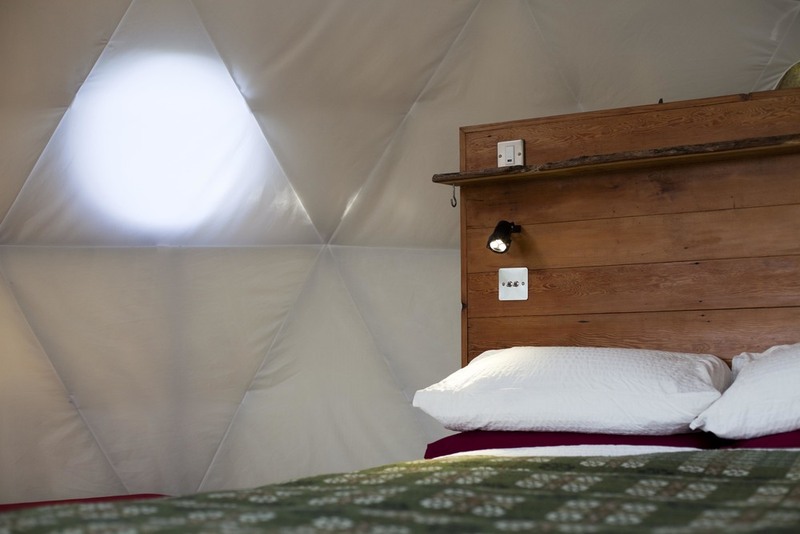 Each dome’s location is carefully planned out to ensure a feeling of solitude. The short walk to the lodge and the shower block is more than made up for by the feeling of privacy and tranquility you experience in your own little corner of our camp. Bedding is provided for the king size bed - please bring along your own towels & toiletries. You will need to bring along your own sleeping bags/duvets, pillows & towels for the futon camp beds.